The initiative may encourage investment in purpose-built accommodation for older generations. There are just over 150,000 residents aged 55 and over as estimated by the 2017 Dubai Statistics Centre of Population and Gender Report. “According to Property Finder research, over the last few years, the trend of people over the age of 50 buying property in Dubai has declined by about 40 per cent. 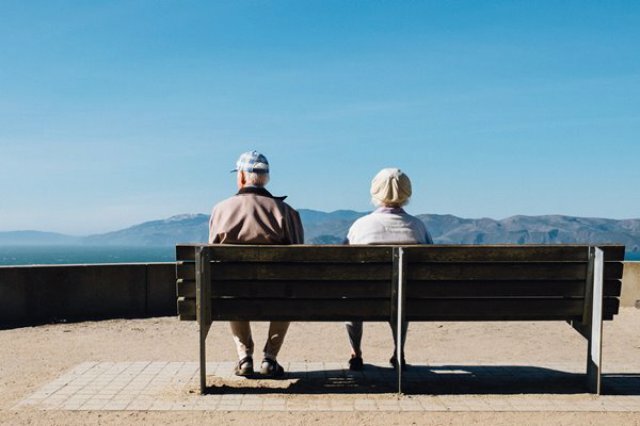 This could be attributed to the fact that retirement was never a viable option here,” explains Lynnette Abad, director of research and data at Property Finder. There are several property options for those looking with a budget of Dh2 million at the moment. “A buyer will have the choice of two-bedroom apartments in Downtown, a beachfront apartment on the Palm or Jumeirah Beach Residence, or a marina-facing apartment [1 or 2 bed] in Dubai Marina. If you’re looking for a villa, there are 2-4 bedroom options across The Springs, Arabian Ranches, Victory Heights, Mira, Town Square, Jumeirah Village Triangle, Jumeirah Village Circle and more,” says Paul Kelly, operations director at Allsopp & Allsopp. The average sale price for the last few years has been Dh2.5 million, so the new announcement fits properties well underneath the average transaction price in the market. Areas for apartments at this price point and beyond include Al Furjan, Business Bay, Damac Hills, Downtown, Dubai Marina, Sports City, JBR, JLT, MBR City, to name a few. Areas for villas include Al Furjan, Arabian Ranches, Dubai Investment Park First, Emirates Hills, Green Community Motor City, Jumeirah Islands, Jumeirah Park, Jumeirah Village, Palm Jumeirah, MBR City, Springs and Meadows, The Lakes, Victory Heights, and more. “Due to the softening in sales prices over the last three years, Dubai properties have become extremely attractive compared to other global gateway cities. At Dh2 million, you can acquire apartments and entry level villas [primarily two-bedroom units] across most centrally located mid to upper mid-market communities,” adds Abood. The initiative may encourage more investment in purpose-built private accommodation for older generations. “This is a burgeoning alternative asset class in many locations in the West with sophisticated master plan communities developed for retirees,” says Tuaima. According to Allsopp & Allsopp, approximately 15 per cent of their buyers are 55 years old and above. “Some clients will want to be in an apartment in the city or by the beach, some will like to live by a golf course, some will like to be on the park in an area like Green Community where they can go for long walks,” concludes Kelly.